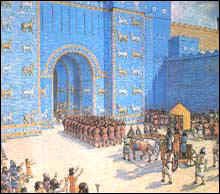 Below is a rendition of a procession through the Babylonian Ishtar Gate. 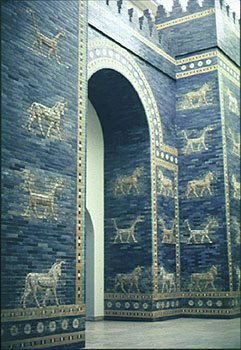 This page will show various Ancient Mesopotamian entrances. 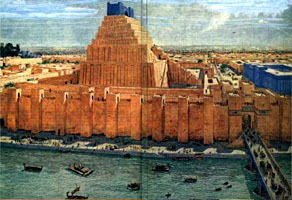 The painting of the entrance to the Tower of Babel, below, was done by a Russian Artist. 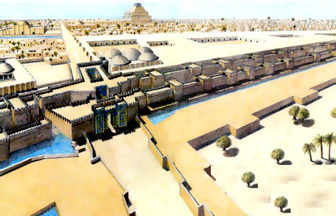 Some of the images shown herein are archaeological remains while others are artistic reconstructions. 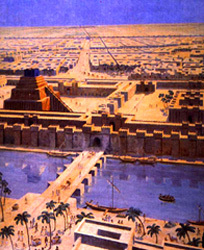 The following is an image of the entrance area to the city of Neo Babylon. 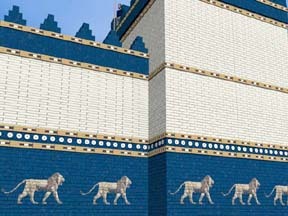 Here is a closeup view of the Babylonian Ishtar Gate. 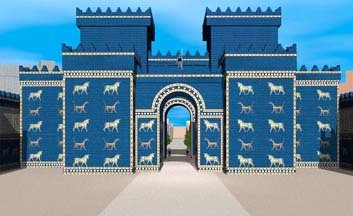 Here is an even closer view of the gate itself. 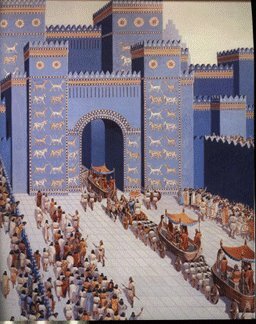 This is a procession going through the Ishtar Gate of Babylon. 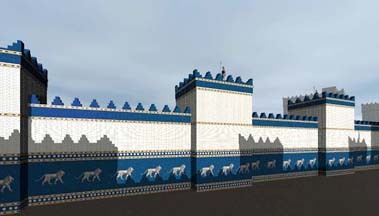 And here is a closeup of the procession passing through the Ishtar Gate. 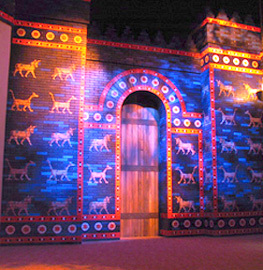 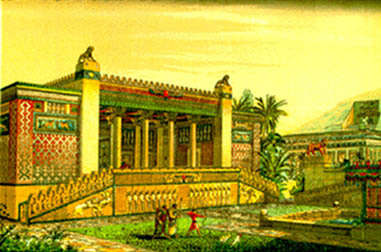 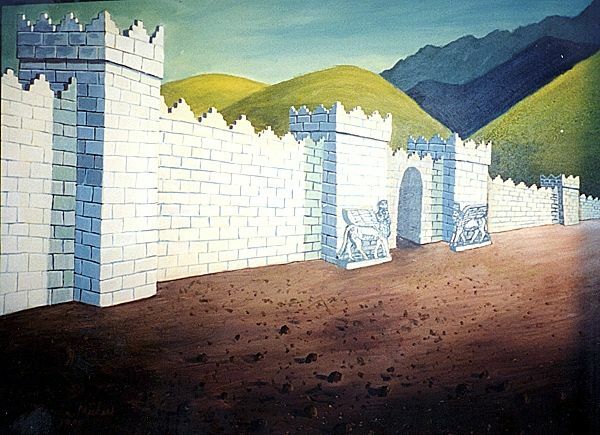 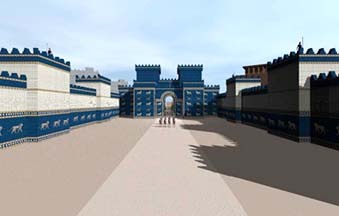 Below is a reconstruction of the walls and entrance to Nineveh. 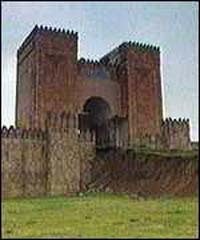 And here are present day remains of part of the walls. 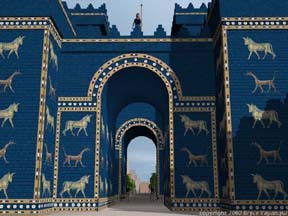 Here is an image of the entrance to the Palace of Sargon II. 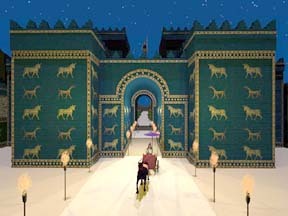 Here are two images of the Palace of Sargon's entrance area. 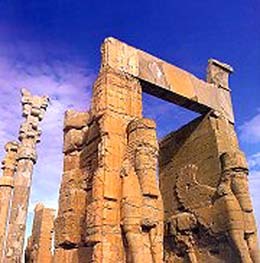 Here are the remains of an entrance at Persepolis. 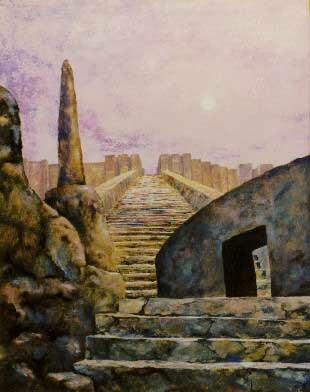 This is a stairway entrance to a palace at Persepolis. 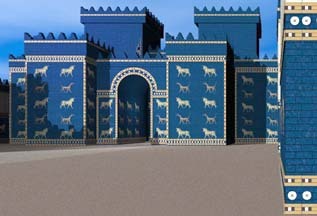 These are the remains of an archway entrance at Nimrud. 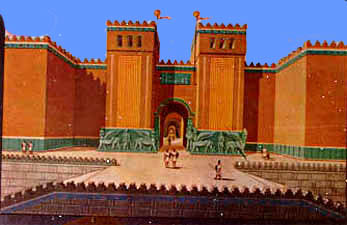 Below is an artistic rendition of this entrance. 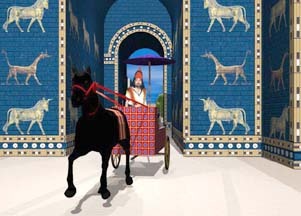 Below are eight reproductions of the Ishtar Gate and its Processional Way created by Martha Houk's Bryce Gallery. 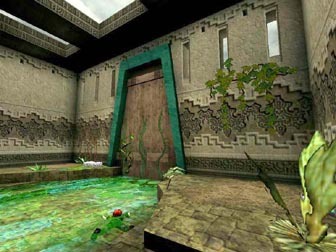 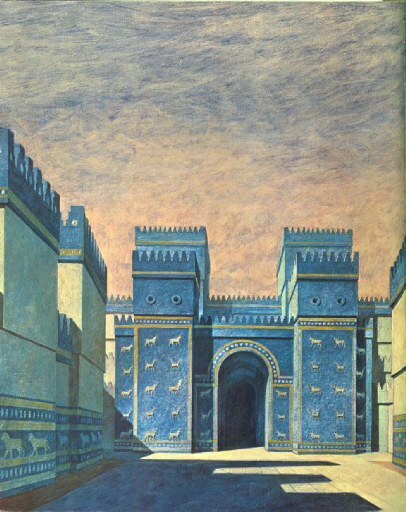 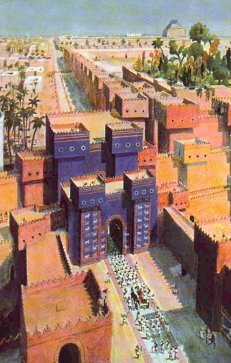 As we come across different images of entrances in ancient Mesopotamia, we'll edit this page to include them.